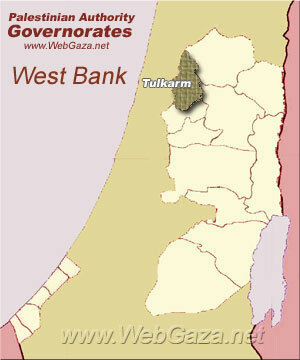 Tulkarm Governorate - What is Tulkarm Governorate? The Tulkarm Governorate is an administrative district and one of 16 Governorates of the Palestinian National Authority located in the northwestern West Bank. The governorate's land area is 268 square kilometers. According to the Palestinian Central Bureau of Statistics, the governorate had a population of 172,800 inhabitants. The muhfaza or district capital is the city of Tulkarm. The Tulkarm Governorate has 51 localities and two refugee camps. The towns and cities mentioned below have populations of over 1,000.